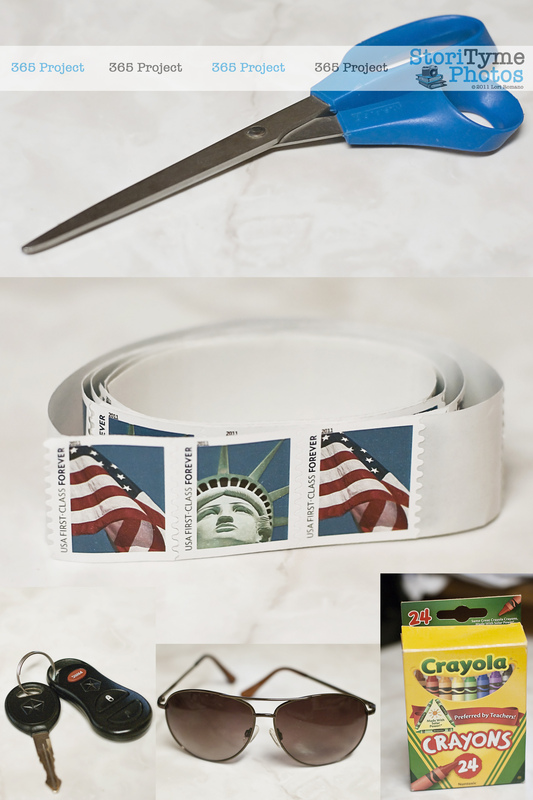 We all have one–the dreaded junk drawer, that catchall for all the crap that you have that you just don’t know what to do with. It’s the place where you hurry up and hide things when unexpected visitors drop in and you need to clean up in a hurry. It’s the place you stash all the stuff that you don’t really need, but that you just can’t bring yourself to get rid of. Every time I open the drawer I think today’s the day I’m going to clean it out and sort through all the stuff and throw all the useless junk in the garbage. But I just haven’t been able to bring myself to tackle it just yet. Instead, I’ll probably wait until the drawer is overflowing and can’t be closed anymore, or until something in there gets jammed and the drawer won’t open and I can’t get to the car keys. Of course, at that point what would have been a simple ten minutes of organizing will turn into an hour-long rescue mission requiring surgical tools and several well-placed explosives. It really shouldn’t be such a chore. I mean, it’s not that hard to distinguish between the useful and the useless. For instance, in the Keep pile we have the lint brush, a pair of scissors, Electra’s leashes, our cell phone chargers, a padlock for our lockers at the YMCA, my jumpdrive, our car and house keys, stamps, crayons, a candle that smells like an Entenmenn’s cake, a package of flexi-straws, and a cheap pair of sunglasses. And in the Why the Hell Do We Still Have This Crap pile we have Steven’s old cell phone case (which does not fit any working phone we have in the house), an old wine bottle cork (that I actually saved so I would remember the name of the yummy wine it came from), a pile of crumpled napkins from various restaurants, a local phone book still in the wrapper (because really, who uses phone books anymore? 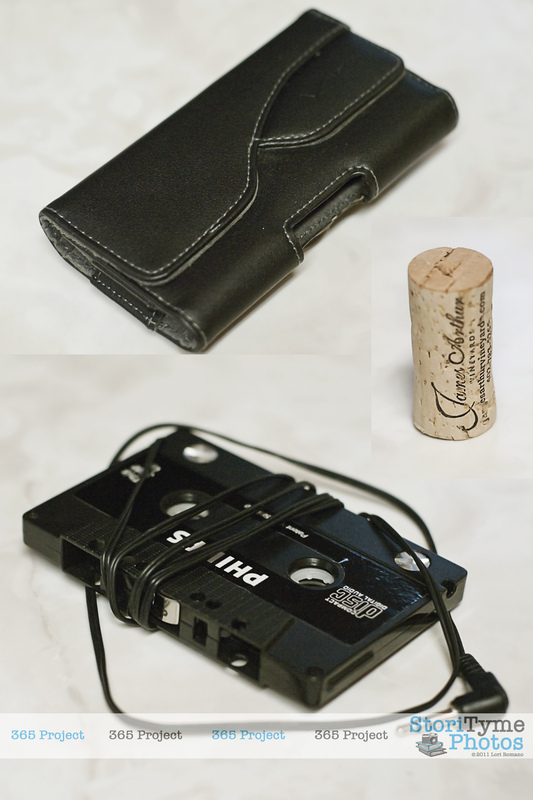 ), old cell phone chargers and an old cassette adapter that no longer works. Funny thing about the junk drawer though, exactly 20 minutes after you clean it out, it fills up again. Somehow, all the odds and ends from around the house show up there, as if notified of the vacancy. If the junk drawer could somehow summon all the socks that go missing between the washing machine and the laundry basket, I just might be impressed. The worst part of the whole situation is that we had a rather large junk drawer when we lived in Arizona. Of course, in the last minute moving frenzy–when we were just tired and frustrated and trying to figure out how the hell we were going to get all of our stuff in the moving truck before it left–the junk drawer did not get the attention it deserved. Instead, it simply got dumped in a box full of miscellaneous odds and ends from other rooms in the house, taped shut and packed in the truck. I’m pretty sure at that point, we weren’t even putting much effort into labeling the boxes anymore. 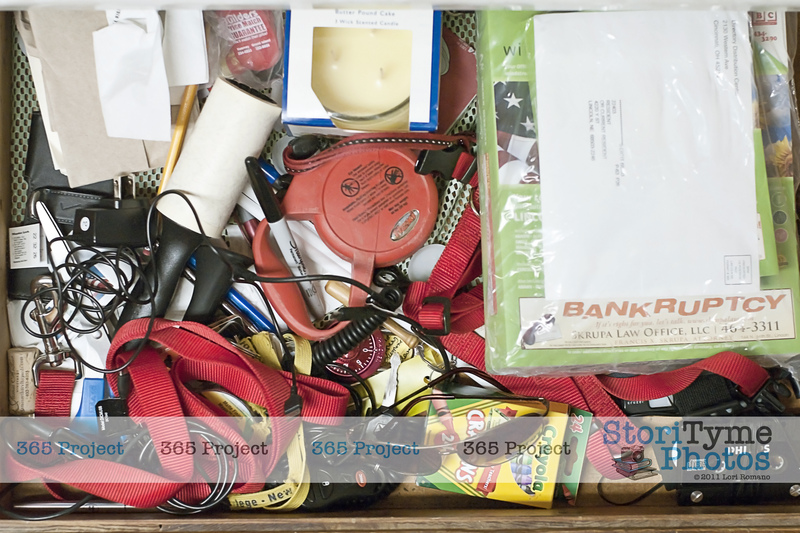 Tonight’s 365 Project entry is dedicated to the mysteries of the junk drawer. Tell me, what sort of treasures are you stashing? Previous Entry 365 Project – Day 221 – What About Me?